There is a story to tell behind each individual team member and service at Simonswood Automation and in this section of the website we tell them, bringing you closer to the people behind the team and the services that we provide. 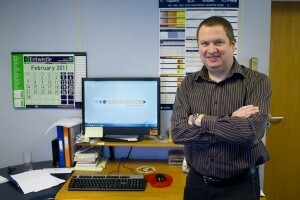 Andy took over from the founder of Simonswood Automation, Doug Tate, who retired in 1999. Andy started with the company in the early 70’s as an Apprentice Electrical Engineer and during that period Andy started programming some of the very first PLCs. In 1986 he joined the Dallam Group in Warrington, setting up the electrical division under the name of Tate Controls, where he grew the company to over £1million turnover and employing 30 engineers. In 1994 Andy left the Dallam Group, and started his second company Tate Systems, based in Wigan, which formed part of the DES group of companies, growing this company to £1million plus turnover. His experience of more than 30 years in process engineering makes him one of the most senior engineers available to the automation industry, Andy is one of the best PLC & SCADA engineers in the north west of England. The more complex aspects of process control and especially the integration of diverse systems are his specialty, which gives us in-depth knowledge in design and management of a large variety of projects. His vast experience with process control projects helped to turn the company into the high quality service organization that it is today. 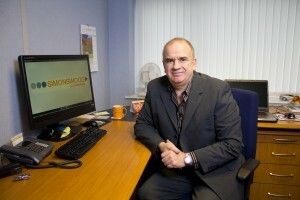 Simon joined Simonswood Automation in August 2010, from his previous employers Mass Measuring/Rospen Industries. Simon initially started as a trainee computer programmer, at Mass Measuring/Rospen Industries in 1990, responsible for programming small PLCs and single board microprocessor controllers, he went on to manage all IT systems in-house and run the Controls Department (software and electrical) across two sites in Manchester and Gloucester. 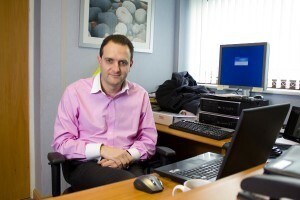 Forming part of a management buyout in 2007, he became a shareholder and director of the Mass Measuring. Simon has a wealth of experience in worldwide material handling type projects ranging from £10,000 to £1,500,000 across a wide range of industries including food, pharmaceutical, nuclear, chemical, mineral and construction. 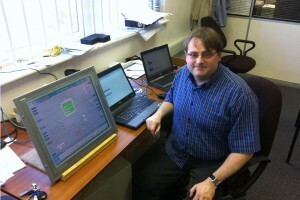 Is responsible for the Engineering Team and also fills the position as Project Director. Tony has a background of Electrical Engineering and has experience in Industrial Automation Projects and Off Shore Projects. He is an experienced designer and trouble shooter, and over the years has resolved a variety of technical and process issues. He was responsible for the Electrical Controls department of Applied Fusion, St. Helens before he started at Simonswood Automation in 2006, and previously worked at Tate Systems and Skill Controls. Jeff first started working with Andy, at Tate Controls, back in 1989 when he had completed his BSc. in Computer Science as a Junior Software Engineer. Since then he has gathered a wealth of experience in PLC, SCADA and Batching systems working at Tate Controls, Tate Systems, GEA Tuchenhagen and Instem. Jeff rejoined Andy, at Simonswood Automation, in 2006, and has matured into highly commended software engineer, with experience of all the major systems and specialises in S88 compliant batching software.